When browsing through a boutique do you wonder, “Which color looks best on me?” Well ladies, you’re in luck, based on your skin tone there is a best color for you! First: Match your skin tone description with one of the seasons listed below. 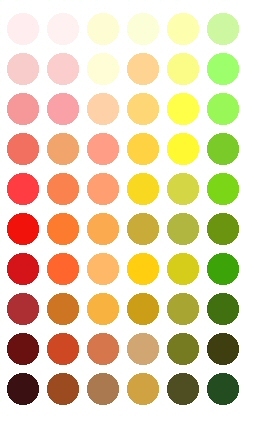 Second: After you identify your color season, you can distinguish your best colors. 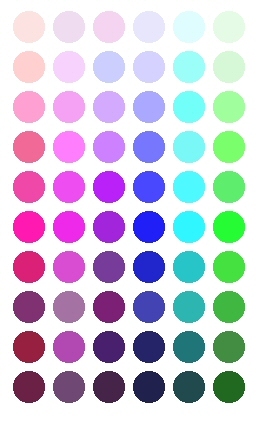 Last: Use these tips to choose the best colors for you. Happy shopping! Winter complexions are considered to have a cool tone. They have a blue or rosy pink undertones and can have pale, olive or dark skin. A winter could be someone with white-blonde hair or brunette with dark eyes. Like winter, summers complexions have a cool tone. This is someone with the blue or pink skin color undertone. Summers tend to be natural blondes with pale eyes. Though, someone with brunette hair and pale eyes could also be a summer. Autumn is considered to be a warmer undertone. This is if you have golden undertones and are either a redhead or brunette with golden brown eye color. Spring is another warmer tone. They tend to have a subtler golden undertone and are either a creamier white or peach color. This is someone who is a golden blonde, auburn, or strawberry blonde. A spring has clear blue or green eyes with freckles and rosy cheeks. Springs have lighter eyes than autumns. Now that you have identified your season you can match it with the information below to learn which colors will best complement you. Winters look best in bright, bold colors. Black, navy, and hot pink will complement the skin tone well. For a lighter color you can go with a crisp white or a cool blue. Think sharp for bold colors and icy for pastels when choosing color. If you’re a summer you are going to want to stick with muted or neutral colors. Pastels are a great way to go with a powder blue, light yellow, rosy pink, or plum. Stick with colors that have cooler undertones. Autumns want to choose colors that have warm undertones. They can be muted or very rich such as a dark brown or olive. Orange and gold are also good colors along with beige and camel. For spring you do not want to go with a color that is too muted or too dark. You want to stick with pale or soft colors. Golden brown or yellow, aqua, peach, coral are all colors that will flatter the spring complexion. Now that you have discovered your color season and learned which colors are best suited for you, you can begin to pick tops that will most complement you.